This article is part of a series of “commentary” articles we are presenting about the March 15, 2015 study issue of The Watchtower. Unless otherwise noted, the specific article referenced on this page is: “This Is the Way You Approved” (pps. 7-11). The basic idea of this new issue is that Biblical narratives will no longer be explained in terms of “types and antitypes” except where the Bible itself supports a clear basis for such an explanation. If the term “type-antitype” is not clear, it’s where a Biblical narrative or parable is explained as a “prophecy” or “prophetic drama” with a specific fulfillment, even if it was apparently intended primarily to present information about a historical circumstance or provide a moral lesson. The Watchtower article mentions that the parable of the Good Samaritan (Luke 10:29-37) was actually considered to be a prophecy about our relationship and expectations with respect to specific groups (such as large business corporations and ecclesiastical entities) right down to the end of this system. Each person and item in the parable (including the road, the inn, the money) was supposed to be “prophetic” of some revealed, specific meaning. The article also mentions another example: the Biblical narrative describing the interaction among Israel’s King Ahab, Queen Jezebel and Naboth, who owned a vineyard that was unjustly seized by Ahab and Jezebel. This has been seen as a prophecy about the unjust persecution of the “anointed remnant” especially in the years between World Wars I & II. Again, each person and item in the narrative (including the vineyard) is supposed to have a specific meaning in the fulfillment. Naboth, for example is a “type” and the anointed remnant would be Naboth’s “antitype” (the fulfillment). It should be fairly implicit, with all these problems, that these forms of explanation might now be seen as “wrong” or even “false.” The Watchtower article avoids those words, and does not even say that these explanations were “incorrect” or “mistaken.” And it will even leave some readers with the impression that they might in some way still be correct, or at least correct for their time. The article does leave the reader with the impression that more recent, simpler explanations that dismiss the “type-antitype” model are more “discreet” and “approved” — and we are led to expect that current method of explanation will continue so that we expect less and less of such prior types of explanations in the future. Of course, if the method were still considered to be correct, there would be no good reason to mention the problems with it, and no good reason to change explanations that made use of it, and no reason to indicate a trend toward minimizing or even discontinuing this method. In fact, the examples that the article mentions are not even the best examples to highlight these problems that The Watchtower itself listed. It’s probably obvious that the parable of the Good Samaritan seems much better suited as a moral lesson about how all Christians should always act in a helpful, neighborly and unprejudiced way towards anyone. After all, it’s about a man beaten, robbed, and just left on the road where he is avoided and ignored by his Jewish countrymen and cared for by a person who those same countrymen would have considered religious apostates. The “Prodigal Son” example has several similarities to the Good Samaritan parable, but was not mentioned in the March 15, 2015 Watchtower. The Prodigal Son parable found in Luke 15 was about a father who had two sons, an older one who served his father loyally while the younger one squandered away his inheritance in debauchery. Yet the father rejoices to see his younger son finally return to him and the father even throws him a great party, to the consternation of the older son. According to the Watchtower, this is primarily a prophecy that referred to the relationship between the earthly-bound “great crowd” (the “prodigal son”) and the heavenly-bound “anointed” (his older brother). This explanation clearly obscures the more general moral lessons about mercy, unconditional forgiveness, redemption, and jealousy. A closer look, however, shows that the problem goes much deeper. The Watch Tower Publications Index under “Prodigal Son” and “prophetic significance” or “application to modern times” indicates that there were three times when the illustration was discussed at length. (And each time it was discussed across two consecutive Watchtower articles.) This was in 1943, 1965 and 1989. But who in modern times do the two sons represent? … The older son represents some members of the “little flock” …. These adopted an attitude similar to that of the older son. They had no desire to welcome an earthly class, the “other sheep,” who they felt were stealing the limelight. — Watchtower, 2/15/1989. That rather uncomplimentary explanation tied the older son to both the “little flock” and to the “Pharisees.” That idea alone might be difficult for some readers to grasp. What’s more complex, however, is the fact that it was initially explained in a quite different way in the 1943 Watchtower. 22 years later, in 1965, that initial article was rewritten and most of the original points were mentioned, but with a couple of points added and a couple features de-emphasized. Then 24 years later, in 1989, the general idea remained, but with many more of the prophetic details de-emphasized, along with another change in application. So another complexity is not the explanation itself, but the changes made to these explanations as portions are reconsidered or become obsolete. And with this new Watchtower, 25 years later, in 2014/2015 we now find ourselves with the idea that the entire prophetic element has been nearly de-emphasized out of existence. After reading the Watchtower article: “This Is the Way You Approved” it now seems unreasonable to take a parable like this with an obvious moral lesson for everyone, and treat it as a prophecy with a specific meaning at a specific time. So, it’s fair to ask: What really was the reasoning for initially treating it as such? To answer correctly, it will be very helpful to spend just a little extra time with this particular example as it will provide us with a more accurate picture of both the reasons for the gradual dismissal of “type-antitype” explanations and the reasoning behind why such explanations ever existed in the first place. In other words, “The Prodigal Son” parable was a prophecy fulfilled in a specific time that matched some date-driven events related to the relationship between the “great crowd” and the “anointed” within the Watch Tower Society. The “younger son” got his early inheritance in 1918, and squandered it between 1918 and 1931. 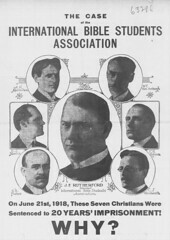 These were the “Bible Students” who liked the message of the Watch Tower publications, and associated with them at meetings and assemblies, but who were not so serious about a life of dedication, as were the “anointed remnant.” A place was finally being found for this more materialistic class between 1932 and 1934. But by then, these Bible Students had lost the opportunity to become part of the heavenly class, which was said to have been effectively filled by 1935. DOES THE WRITER THINK “OTHER SHEEP” ARE LESS WORTHY? The “elder son” class were members of the consecrated “anointed remnant” who looked down on the “great crowd” as less worthy. There is a strong hint of derision leveled at the “prodigal son” class by those who identify with the “elder son” class in this very issue of the November 1, 1943 Watchtower. This precious interval of time, commencing in 1918 and ending with Armageddon, is still with us, continuing far longer than we had once expected. … During this time period the faithful remnant with the heavenly hope have gladly spent their life and time in the service of their Father, like the older son. Many of the “other sheep” of John 10:16 have done likewise. But those pictured by the younger son have selfishly grasped the God-given gifts of life and time and converted them into means of gratifying the corrupt desires of the fallen flesh. By 1965 the application had been changed so that it effectively dismissed the original application to the “other sheep” who associated between 1918 and 1935. Yet, in the initial explanation, that was really the whole purpose of the illustration. Even in 1943, the current moral lesson for recently converted “other sheep” was already diminished, because this was considered to be mostly a fulfilled prophecy. This may have seemed to be a fairly appropriate lesson for many readers, but the 1965 article only summarized and generalized the points from the 1943 article, and never made it explicitly clear which portions of that original explanation were still in effect. But there’s another problem with changes that happen gradually over time. In the Prodigal Son example, when specific time elements in the recent past were attached to an explanation, it didn’t take long until many new “other sheep” no longer remembered the 1918 speech about how “Millions Now Living Will Never Die” (mentioned in the original article as something that many had personally witnessed). More and more “other sheep” continued to flock in, but they no longer remembered that there was a time when “other sheep” weren’t even invited to the yearly Memorial celebration. They no longer remember that “other sheep” were once called “Jonadabs” instead of Jehovah’s Witnesses. For years, only those identified with the anointed remnant could be called “Jehovah’s Witnesses.” They don’t remember that there was a time when “other sheep” weren’t supposed to be “consecrated” (dedicated). Of course, many of the “other sheep” would say that these were not even their own choices, but were ones that the Watch Tower Society had imposed upon them. All the major articles in The Watchtower that covered this explanation — in 1943, in 1965, and in 1989 — apparently had some difficulty with the explanation as to why Jesus’ version of the parable didn’t say whether the jealous elder son ever attended the feast given for the prodigal son. In Jesus’ version of the parable, we can get the impression that the elder son misses out on this joy of his father, by continuing in his jealous sulking. The Watchtower, of course, because of the “fulfillments” assigned to the story, had to assume he finally “came around” after all, and rejoiced with the father, saying that Jesus only left out this part to make us think about what we should do. By speaking of these new explanations as “approved” the 2015 Watchtower implies that the older explanations were either less approved or “unapproved.” Therefore, it may cause some embarrassment to notice just how much ink was poured into these prior explanations. The initial explanation of the Prodigal Son in The Watchtower issues dated November 1st and 15th, 1943 covered nearly 20 full pages and about 20,000 words. But why were they considered to be prophecies in the first place? As prophecies, these parables and narratives could only be explained in “the due time,” in the “happenings of our day” which had to be especially apparent since 1918. The Watchtower writers were always sure they were living in a time when the Lord was performing an astonishing work through the Watch Tower Bible and Tract Society. From almost the very beginning, the belief became common that the Scriptures were speaking about them personally. After only a few years of publishing Zion’s Watch Tower, Charles Taze Russell came to believe that he individually was the “faithful and wise servant.” He stopped believing that the “servant” was a “class” and believed it was himself, personally. Therefore, it was his work to feed others through the Watchtower, with spiritual nourishment “at the proper time.” That was his belief until he died in 1916. At the time, Rutherford was promoting a new understanding of a prophecy in Daniel, that differed from what Russell had taught. Curiously, that “better understanding” was finally dropped so that The Watchtower has gone back to Russell’s version on this particular subject. Following his logic, the fact that he evidently did not have a better understanding shortly after 1914 should be seen as evidence that the “day of the Lord” did not begin in 1914. It was a commonly repeated theme from Rutherford about the importance of new explanations since 1918. He also saw it as necessary due to the idea that Russell had a monopoly on “revealed truth.” He desperately needed some revealed truths that were quite different from Russell’s. It would prove that Jehovah was illuminating his Word even after Russell. In God’s holy temple / Lightnings flash and shine / That we may be guided / By His light divine. It’s clear now that this practice of squeezing out prophetic meanings from parables required some excessive twists and contortions. However, let’s not forget that these new unsubstantiated prophetic meanings were more important than the original meaning of the parable. 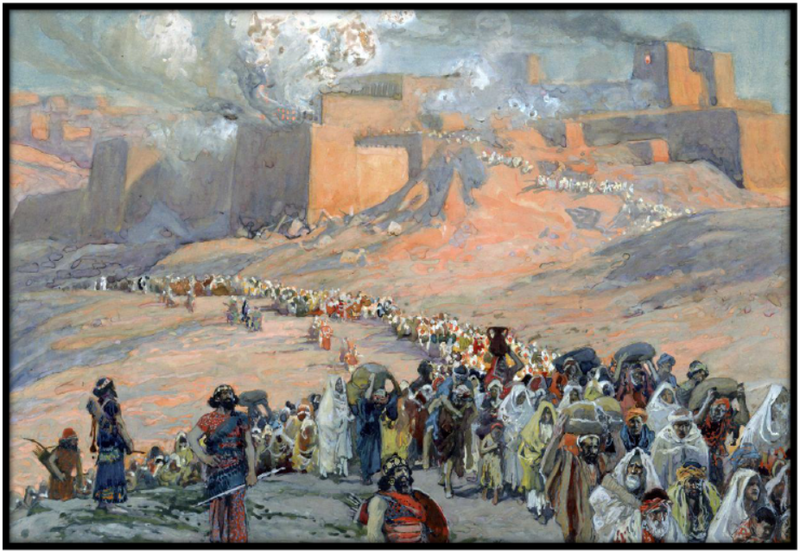 In 1965 in the Prodigal Son article the idea was included, that these parables only had “a measure of fulfillment” in those places where the Bible had already stated a fulfillment. But the major fulfillment was not the fulfillment given in the Bible itself, but the man-made fulfillment explained for our current time. It’s an odd wording that assumes that one can be called discreet even if they need to be more discreet. What makes it so odd, is that this particular faithful slave claimed to be the only discreet slave, the one judged by Jesus as the most discreet slave on earth (in 1919). The next posted article in this series will discuss the same article from the March 15, 2015 Watchtower by discussing another of the parables mentioned in the article. But rather than just covering the narrative about “Ahab, Jezebel and Naboth” we will cover the larger “Elijah/Elisha” sequence that included the “Ahab/Jezebel/Naboth” narrative as a small part of it — and in much more revealing detail than was revealed in the Watchtower’s article. awful, simply awful. I am glad that I have left this morass of confusion and teaching!!! So by making a prophecy out of simple parables or types the WT Org has gone beyond what is written thus adding to the scriptures for each of these types. These prophecies were originated in God’s name by the WT org and now admitted to be false by the March 15, 2015 WT magazine. I very much appreciate the in-depth analysis of these articles and the valuable background information concerning your years at Bethel. Thank you for taking the time to engage in such exhaustive research. Indeed, very impressive research! I’m thinking about writing a focus article based on the same watchtowers you’ve researched to highlight the sentiments about the earthly-hope class. Especially how they were seen to have ‘squandered’ their opportunity. Truly looking forward to your further development of this series.